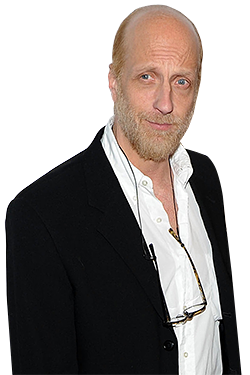 Chris Elliott had his first talking role on television 29 years ago, on the first season of Late Night With David Letterman: He played a walking pile of garbage. Strolling jauntily through Times Square in a costume literally constructed out of trash was a fitting debut for a man who went on to build a career on playing cocky optimists who don’t realize how pathetic and disgusting they are to other people. After thriving on Letterman throughout the eighties, Elliott was given the chance to star in his very own sitcom, Fox’s Get a Life, which set equal marks for prime-time inventiveness and viewer bewilderment. After its swift cancellation, he and longtime writing partner Adam Resnick prepped Cabin Boy, a 1994 film comedy that was met with extreme indifference (it earned just $3.6 million). Since failing with those two cult classics and in his one-season stint on Saturday Night Live, the 50-year-old has had steady work guesting on sitcoms and with supporting roles in the occasional movie (There’s Something About Mary), but he has never had another lead role. Until now: Eagleheart, his new comedy series (Thursdays at midnight on Adult Swim) returns him to the persona he made his name with: a ridiculous, smug U.S. Marshal who is more adept at uttering non sequitur one-liners than fighting crime. We spoke with Elliott by phone from Brooklyn, where he was visiting his daughter Abby, the Saturday Night Live cast member; here is our extended, wide-ranging, and virtually uncut transcript of the conversation. Eagleheart seems tailor-made to your talents. What was your pitch to Adult Swim like? You know, I’m not an executive producer on it, or a creator, or even a writer, really. I was an actor-for-hire on this. As far as I know, Michael Koman and Andrew Weinberg, who were former writers [for Conan O’Brien], along with [Human Giant’s] Jason Woliner, had written this pilot script that was influenced a little bit by Walker, Texas Ranger. What they had pitched was a show within a show and a behind-the-scenes look at that show with a character actor playing the lead. And when they were casting, I guess they couldn’t quite find that guy, and I think it was Adult Swim that actually brought my name up to them. So, I came in and met with those guys and really liked them and we went ahead and did the pilot. And then Adult Swim preferred the show within the show, the fake show, without the behind-the-scenes stuff. So, that’s how it evolved. I was really just brought in once they had gone through every other actor out there. Well, absolutely. And actually, when I first met with them, for the pilot, I was trying to talk them out of going with me for it because I thought they should actually find somebody like Chuck Norris to do the role. But it really took a load off my shoulders that the writers claimed to be fans of mine because they could write for me right away. So in a way they did tailor-make the show for me. Maybe they had meant to contact Sam Elliott? [Laughs.] I suggested him. You know, I get mistaken for him fairly frequently. Basically because I eat a lot of red meat. So people make that connection right away. Could you ever grow as impressive a mustache as his? I was actually in, briefly, a Woody Allen movie — but [my part] was cut out of it, I think, because I was wearing a mustache. It was Radio Days, that movie. I’d had a beard at the time, and I think they didn’t think my mustache looked the proper period. So they had me shave my beard to a mustache. And, boy, did I look odd. You’ve had a beard in pretty much everything you’ve done, right? Yeah. I have not had the full experience of shaving my entire face, seriously, since I was 20 or 21. When I first started for Dave, I didn’t have a beard. I was trying to figure out, you know, what’s my look going to be? I was losing my hair and I didn’t really need glasses, so it seemed like a beard, that’ll be my trademark. I also have absolutely no chin, so it was to hide that fact. Was it also to make you look older? Not really. You know, I’m just so fit that I don’t think anybody would have bought that. All right? I mean, my body is incredible. It still is to this day — I’m 50 now. I’m amazed by it. I mean, I look like an 18-year-old. So, I could never have taken on that persona. I assume you put in a lot of time at the gym to get those kind of results. No, I don’t. I won’t do that. I do eat an awful lot, and drink heavily. Everybody’s different, but, basically, with me, for some reason my metabolism reacts to that in a very positive way. I just, you know, have a full six-pack. Probably helps for this role, which is so heavily dependent on your chopsocky abilities. Seriously, though, are you channeling your younger self in Eagleheart? Not exactly. But it is true that I started doing this stuff for Dave years ago, and that I sort of developed this persona that can be this way from time to time. Everything I do is channeling the last thing I did; it’s all sort of the same kind of guy. I mean, even Eagleheart. While it’s not a parody of Walker, Texas Ranger — it’s much more bizarre, and surreal — it is still that guy. Even though I may be wearing a cowboy hat and a vest and a badge, I’m still sort of the guy from, say, [his 1986 Cinemax comedy special] Action Family — the guy that I’ve been doing all these years. Do you like the fifteen-minute format? Your rabid fan base would beg to differ. I guess. I’ve always really been lucky to have this kind of cult following that is really committed to me, even if I’m not doing anything for a couple years. Suddenly it seems like people are excited to see Eagleheart, and that makes me feel great. I mean, it’s not dissimilar to what my dad sort of had, and still has. It’s pretty gratifying to have that. It sounds like you might be a little embarrassed about it, though. Why? I mean, it can be embarrassing. Because I certainly don’t have a huge body of work and I don’t feel like anything I’ve done has been that particularly important. And I’ve always had a thing where people either love me or hate me. I can usually tell in somebody’s eyes right away, even if they’re being polite to me, if I’m their cup of tea or not. And more often than not, I’m not. So, I just get sort of, like, embarrassed a lot. But there’s just this unspoken kind of thing with fans of mine, and as I’ve gotten older, I’ve learned to appreciate it more. But you’ve had one of the more interesting show-business careers out there, wouldn’t you agree? I certainly have. But I don’t know — I still don’t feel like I’m in show business. I never did feel like I’m in show business. I think part of that feeling came from working for Dave early on, where show business was such a point of ridicule for all of us. It was so great to be working in it and yet making fun of it at the same time. And of course the big joke with me while I was working for Dave was always that I’m this outsider trying to get into show business. There was some truth to that, and I still sort of feel like that. And yet I can’t do anything else. You’ve frequently popped up in guest-starring roles on network television, but have you tried to pitch some things of your own in the past decade or so? Yeah, definitely. I’ve done a couple of pilots. Generally, people are huge fans of mine when I go in to a pitch. But I always get the feeling they want me to grow up a little bit and do something maybe a little more age-appropriate. And they’re probably right. I mean, I don’t feel like I can do [Get a Life’s] Chris Peterson anymore. I’m an older guy now. But when I pitch stuff, it’s still hard for network executives to see me as a dad, even though I have two grown daughters and have been married for 25 years. I’ve just established myself so much as being this weird, off-the-wall persona that it’s hard for them to make the leap. It’s weird for people to see me doing something normal. Where would you put yourself on the weird scale, by the way? On a scale of one to ten, I guess a ten. But the one thing with me is, I don’t think I’ve ever totally figured out how to take that weirdness and roll it in something more mainstream. There are other weird people doing weird things out there, but somehow they manage to package it in a way that you at least think you’re seeing something more mainstream. You know, maybe that’s the trick to cracking this showbiz nut. But yeah, I’m pretty weird in what I do. Although I don’t think I personally am. Right. And it always amused me that, when people met me, they were always surprised at who I am. Even people that hated my act liked me personally. I took it as a compliment. It seemed to me like, “Okay, I’ve succeeded. I’ve pulled this off. I’ve come up with this guy and people are going to think that that’s me.” It’s not performance art, which I’ve never had the patience for. It’s more like an inside joke. So, you were just a normal dude when you went home after a day’s work at Late Night? Definitely. Honestly, I don’t know where the tendency to want to do sort of strange stuff comes from. I think I did in high school. I know that when I went to Late Night, and got to work with all the writers who were brilliant there, I started developing it. And Dave, I think, was amused by how weird I could act around the office. He was a fan of my dad’s, and we had talked before I was hired, so he knew I wasn’t that way really. So, I think he enjoyed that I was playing like I was a jerk around the office — and eventually that made it onto the air. But at the end of the day, I would go home and, you know, be a normal person. At least normal as far as I’m concerned. What was a typical evening like for you back then? Well, I met my wife at Late Night, and we used to go out and do the town. It was a great time in my life. I loved waking up and walking down to Rockefeller Center and doing something weird on television and then walking home and, you know, just being in New York. It was really, really fun. But then we got married, and then we had kids, and then we moved out to Connecticut, and then we did basically what anybody else would do. I have my dad, too, to look to as somebody who did that in his career. He used to leave in his suit, carrying a briefcase to work every day, and he would come home at five. He was lucky, he had just a nine-to-five job. Did your kids even know what you did for a living? Abby did; she was a little older than [my other daughter,] Bridey. But when I started doing Get a Life, they both came to the set and watched some. There were lots of episodes that I didn’t want them to see — at all. In fact, when they were I don’t even know how old and Something About Mary came out, I didn’t want them to see that movie. I didn’t let them see it. Because I had this stupid idea that, Oh, it’s too raunchy for them and They’re too young to see that kind of humor yet. But then they’d go to school and every kid in their class had already seen it and wanted to talk to them about it. And they had to go, “Well, we haven’t actually seen it yet.” So, I finally showed it to them. And then I realized — I hadn’t been keeping up with what was on TV at the time — that they had seen far worse things on cable than Something About Mary. But, anyway, I think my kids always knew what it was that I did because they were involved with it early on. [My wife] Paula worked at Letterman, too, and then we went out to L.A. and did Get a Life. So they were around it right from the start. You began doing movies while you were still at Letterman. Was that something you actively set out to do? I think it was both that I wanted to explore a movie career but also that there was this snotty, “This will be something I can bring on Letterman and show a clip of and make fun of!” kind of attitude. That was behind a lot of the things that I did, including The Abyss. I say “snotty” because when I look back on it now, I think it was. But that was part of my act on Letterman. I think it always amused Dave to see this freak that Late Night had given birth to actually in something mainstream. There was a GQ article on me that Dave just found amusing. Here I am in a suit in this magazine and there’s an article on me. And we all found it amusing, you know? And, like I said, I still sort of do. I still kind of feel like, even doing this interview, it’s like, well, why are you talking to me? And I’m not being, you know, Mr. Humble Pie. Honestly, I am excited that, yeah, people are still interested in me, but there is this big part of me that just wonders, you know, Why? Did you have any meaningful interaction with James Cameron on The Abyss? Now this was, I don’t know, a cocky attitude of youth or whatever, and not understanding, really, what The Abyss had meant to James Cameron, but I went on before him to promote the fact that I was in The Abyss, and I showed a horrible pretape of Jerry Mulligan and me in this horrible fake underwater set with plastic fish floating around, and we’re yelling, “Hey! We’re in The Abyss! Get us out of here!” Just the lamest bit you can imagine — but one that the audience, you know, laughed at. And then James Cameron had to come out and seriously try to promote his movie after I had done that. Needless to say, I never heard from him again. But the moral — okay, there’s not a moral to that story. But it took me a while before I realized that not everybody necessarily wants to laugh at themselves. And at that time, working for Dave, who was the first one to make fun of himself, I just figured everybody does that. You know, that’s what we do nowadays, that’s the trend nowadays: We can all laugh at ourselves because we’re all jerks. And that was not the case, I found out. And now I totally understand how horrible it must have been to have this punk who you gave a break to come out and make fun of you before you have to come out and actually try to get people to see your movie. Now that you’re back doing semi-frequent bits on Letterman, you’ve come full circle in a way. Yeah. But I’ve never really totally cut the umbilical cord there, you know? Because — and that is a good analogy — it does kind of feel like this safe haven for me, this womb that I can go to. [Pauses.] Okay, don’t say “womb.” That is disgusting. I loved Get a Life, but I’ve still always wondered: How the hell did it get renewed for a second season? It barely did. I mean, it had even been announced that it had been canceled. And I remember that I was just so depressed. I went by myself to see What About Bob? , and that made me laugh, and it made me feel good — but then I left and I was like, “Oh, God, my show got canceled!” Then I got home and found out that, “No, they’ve decided not to cancel it — they’re going to pick up nine more episodes.” But the writing was on the wall. It was not the show that Fox wanted. They didn’t want that show. It’s funny — everything that I’ve done, unless it’s been a bit part on a very popular show, anything that really has come from me has always been kind of the embarrassment of the family, the person you put in the closet. What kind of notes were you getting from the network on Get a Life? Or did they just ignore you? No, they gave us notes — an incredible amount of notes. On everything. Like I said, it wasn’t the show they wanted. Believe it or not, I remember them saying when I was first in talks with them that they were looking for a Cosby kind of show. Even though Married With Children was on, and they had In Living Color on — these really cool, edgy shows. I think they were kind of hoping that I would somehow be the classiness that they didn’t feel like they had or something. And then we gave them this 30-year-old guy living in a garage in his parents’ house. But their notes always reflected the fact that they still wanted the show to be grounded in reality. There were notes wanting a real moment between me and my dad that the audience believed. Which, if you know Get a Life, that’s so not that show. And they were persistent with notes like that. The only way we could respond to them was to go, “Okay, there’s a moment here.” And we would put a moment in — and then take it away with the next line. Like, we’d put a hug between me and my dad in, and then the next line he’d call me an idiot or something. So that you’d realize we were making fun of that kind of moment, because there was no other way to do it. But, yeah, there were, like, constant notes. And yet it was renewed. Why? I can’t honestly remember, to be totally honest about the whole thing. I’m sure there was some talk about wanting us to change the show. I know they wanted me to move out and be more responsible before they were gonna pick up the show. So, I think there was like, “Okay, if you do this or that, we’ll pick up the show.” And we decided, “Okay, I’ll move out. I’ll be more responsible.” And what we then did was to have me move into Brian Doyle-Murray’s garage. That was the way it always worked with them — you know, they would demand something that was so wrong for that show, and we would say, “Okay.” And then we’d give them our version of what they demanded. That’s not a good relationship. At the same time, they did find me really funny and they did put me on the air. If it wasn’t for Fox … You know, Get a Life, when I look back on my career, is one of the highlights. It wouldn’t have happened on any other network, even though it was still a struggle to have it happen there. In the end, it wasn’t a total failure. Unlike Cabin Boy. Well, regardless of how little money it made, Cabin Boy ruled. That’s really nice to hear. It’s one of those things that, yeah, maybe we should have done things differently back then. But I don’t think it was ever destined to be, you know, this big movie. Sure, people thought it was going to be bigger, maybe because it was produced by Tim Burton and because Touchstone, which was part of Disney at the time, was putting it out. And it got a wide release, which I guess didn’t help it much. But it was what it was supposed to be. Really, I think Cabin Boy was the kind of movie I had to do at that time. I could not have left Get a Life and then done a romantic comedy, you know? In retrospect, there was one surprise. I was so used to doing bits on Letterman, some that would work and some that wouldn’t work — but I would still be back the next week to try something else. So in my head, after Cabin Boy, I sort of thought, Well, the movie industry’s the same way. You give it a shot, and if it doesn’t work, then you do another one. And that may have worked for two-reelers and shorts back in the thirties, but it doesn’t work now — obviously. Yes. He wanted that line in there all through the movie. He wanted to be in the movie more. No. Is that a real question? Did you actually ask that? Oh! Sorry! No, I was more just wondering if Dave had initially expressed regret about being a highly visible part of the movie, since it was regarded as a flop at the time. I’ve never even talked to Dave about it. I doubt it. You know, Adam [Resnick] and I were both really so lucky that Dave agreed to do it. And the movie, I think, is funny. I have nothing but good thoughts about that movie. Good. Does that mean there’s a chance you’ll reteam with Adam to do Cabin Boy 2? You think we should revisit Cabin Boy? Revisit the characters, like, where they are now? All right, let’s get it going. So you would do it? Of course I would do it. Absolutely. Wow. We need to make that a reality. All right. Whatever you can do from your end … I’m working on it from my end. I do have to give it a good couple of years of just sitting around thinking about it. But it will happen. I think we both agree that Cabin Boy, despite its essential flop-hood, is clearly a high point in your career. What is your lowest? I’ve said in the past that working on Saturday Night Live was a really difficult year for me, and it was. And, you know, it was a low only because I totally disappointed myself there. From the time I first started doing stuff for Dave Letterman, people were saying, “You need to go to Saturday Night Live. That’s where you belong.” And before I ever met Dave, I thought, Saturday Night Live is where I should be. Before I met Dave, I even submitted some material there, and when I got hired for Letterman, even in the back of my head I was thinking, Eventually I’ll end up on Saturday Night Live. I’m in the building now. I quickly realized, “Oh, no. Dave is the person I should be working with,” but still, all through my years working for Dave, it was this thing that I never finished, in my own mind. Like, I had never done that chapter. After I stopped working for Dave and went out to L.A. and did Get a Life and did Cabin Boy, the opportunity came up to do Saturday Night Live again. I thought, “Okay, now I’ve got to do it now. I have to. I’ve sort of reached a point where it’s now or never.” And I went there — and it was totally wrong for me. And I realize now why it was. You were already too well-known? Exactly. I had already established myself as this guy who not only just makes fun of himself all the time but who doesn’t totally commit. Even when I did, like, Morton Downey Jr. or Marv Albert or Marlon Brando or anybody for Dave, you always knew it was me doing it. At Saturday Night Live, it’s very hard to do that. You have to totally commit to an impersonation or to a character. You can’t let yourself come into it, except for when you flub a line and people laugh, or whatever; you have to really be that person. And I couldn’t do that at that point because, forget about the audience, even I didn’t believe myself doing that because I had already established that character we talked about earlier, that sort of odd, weird guy. Did you just want to go home and hide under the covers for a while? I think I did. I really think I did. I mean, I guess when I look back on my career, I do tend to hide under the covers quite a bit after I’ve been rejected. But SNL was different. Having gone through years of having important people in the business saying, “You’d be great on Saturday Night Live. Saturday Night Live’s where you go,” and then being so disappointing to people there — that took the wind out of my sails, for sure. Are there any sketches you remember fondly? I remember actually doing one bit where it started as some stupid sketch — about the Denver Airport opening — and then I broke reality. I announced that I was leaving SNL, that I can’t go on. That, for whatever reason, it’s just not working out for me. That I’m going write a book or something. And then I leave the studio, and it turns to black and white, and it looks like the footage from the Dallas police station when Oswald was being ushered out. And Lorne has me by the hand, and there’s a guy in a Marshal’s hat on the side of me, and I get shot at the end of it. I really liked that piece, because it sort of felt like, “Oh, right — that’s the kind of thing I do.” Maybe if I had done more things like that, it would have been different. Would it have been different, too, if you’d done it earlier in your career? Definitely. And I had the opportunity to do it when I was much younger — well, ten years younger. And I almost did, but backed off at the last minute because, honestly, working for Dave was better. What season would that have been? Lorne had left for a while, and this was the season he came back. In the cast already was Randy Quaid, Anthony Michael Hall, and Robert Downey Jr. I went in on a Saturday and auditioned. It was a very exciting experience. The next day I was walking across the park to have brunch with my folks and I ran into [NBC President] Brandon Tartikoff, believe it or not. I wasn’t going to say anything, but he came up and introduced himself, saying that he had just seen the tape and that he thought it was really funny. And I was just, like, on cloud nine. I remember I was just, like, walking on air at my parents’ house. But then a couple of nights later, the job was offered to me and it sort of sunk in that (a) I felt a loyalty to Dave, and (b) Dave also was letting me do more than I would probably be able to do on Saturday Night Live. I mean, he was calling me by my name, introducing me as Chris Elliott, and having me come out, and do something. It didn’t seem hard to make that decision at that point. But like I said, in the back of my head for years afterward, I just thought, Should I have gone? Should I have tried it? And now your daughter Abby is on the show. What advice did you give her? I gave her very little advice right from the start, other than, “Don’t do it if you don’t want to.” She obviously really, really wanted to, but that was the only advice I ever gave, to just, deep down, make sure this is something you want to do. A blog I was reading yesterday referred to her as being “adorably hot.” Does she get that from you? Do I even have to answer that question? I mean, it’s obvious. But I’m not even going to talk about my daughter being hot. You know, that’s — ugh. But I’ll talk about me being hot. Let’s talk about that. I hope I didn’t come off to snarky about where I am in the business. I do, honestly, without sounding sappy, know how lucky I have been. And I know that meeting Dave was this incredible luck in my life. And meeting Adam Resnick — I honestly feel that anything funny that’s ever come out of my mouth has come out of his brain first. And then being able to keep going, of course I feel lucky. If I could just put anything on this interview for you, it would just be, please, don’t make it sound like I hate the business, or that I’m still just down on everything. Because I’m not. I love the fact that I’ve been able to make a career in this business. Deal. Final question: When can we expect to see Eagleheart: The Movie, directed by James Cameron? What makes you think that it’s not already in preproduction? Let’s just say that Eagleheart — the 3-D Eagleheart — is the thing that’s going to bring James Cameron and me back together again.